Because of its unique texture, a fireman's wife thought that a fire hose was actually a viable craft material. 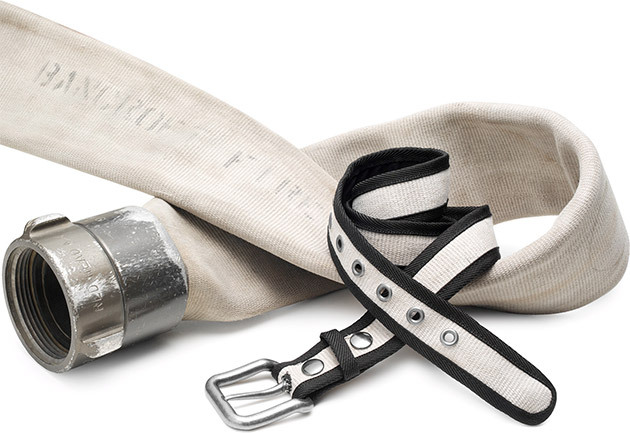 And since it's hip to upcycle, she created the Fire Hose Belt ($38). Each belt is carefully handcrafted and is one-of-a-kind, bearing distress marks from use.